Kodi is one of the most popular and most favorite media player apps on Apple TV. As compared to other similar apps on Apple TV for using media, Kodi was used more than all the other apps. 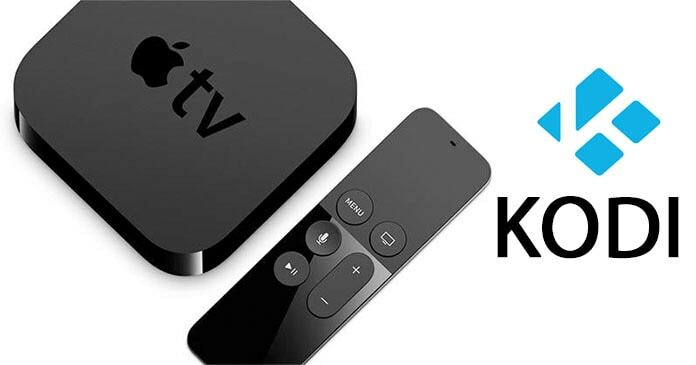 Although there is no recent release of Kodi with a simple installation on your Apple TV, yet you can install Kodi on Apple TV 4 by following some simple steps. The best thing about this procedure is you don’t need jailbreak to do this. This method works for both of the tvOS 9 and tvOS 10. You will need some things before starting the process including official build of Kodi, Unarchiver and Cydia Impactor. First of all, you will need the IPA file of Kodi to install it on your Apple TV. Follow the process below to get the IPA file. Initially, download an official build of Kodi from official source. This will include Kodi setup. Now you will have to install the Unarchiver app from Mac App store. This app will open the folder that you have downloaded from the official source of Kodi. Now click on the downloaded file and unarchive it using the Unarchiver. It will result a folding including all the files of Kodi. You will see a file named data.tar.lzma in the folder of Kodi. Click on it and the Unarchiver will unarchive it from the folder. Now in the Applications folder, look for the installation file of Kodi called Kodi (.app). In the same folder, make a new folder and name it Payload. Now click and drag the Kodi app file from Applications folder to Payload folder. Right click on the new folder and click on Compress “Payload”. After compressing the folder, name it anything but change its extension from “.zip” to “.ipa”. Now click on Use .ipa button. Now you have the IPA file that can be used to install Kodi on Apple TV 4. You just have to sideload it to your Apple TV to finalize the process. For sideloading Kodi app, first, you will need Cydia Impactor tool.You can download Cydia Impactor for either your PC or your Mac. Step 1: Connect your Apple TV to your computer using a USB cable. Step 2: Now open the Cydia Impactor. Step 3: Make sure your Apple TV is connected to the computer and it is showing it in the connected devices in Cydia Impactor app. Step 4: Now click and drag the IPA file of Kodi to the Cydia Impactor that we produced in the previous procedure. Step 5: Now hit Start and it will start side loading the app after checking a valid Apple ID. After doing all these stuff, you will be able to use Kodi app on your Apple TV 4 without jailbreak. Just make sure to have the latest version of Kodi file and Cydia Impactor app. You can also save the IPA file of Kodi somewhere for future so that you could install the IPA file directly without doing the previous procedure.